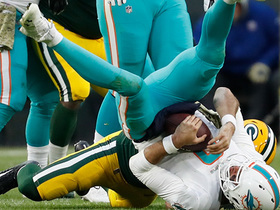 Fackrell recorded a sack in Sunday's loss to the Lions and finished 2018 with 10.5 sacks over 16 games. Analysis: Fackrell broke out in 2018, more than doubling the 5.0 sacks he tallied over 29 games in his first two seasons as a pro. 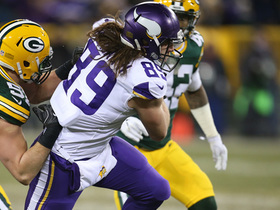 Fackrell figures to be back in Green Bay in 2019, given his more-than-reasonable salary, but it remains to be seen in what type of role, as the Packers figure to address the outside linebacker position in the offseason and will have a new coaching staff in place. 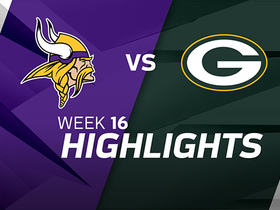 Fackrell recorded two tackles (one solo) and one sack during Sunday's victory over the Jets. Analysis: Fackrell is now up to a team-leading 9.5 sacks on the season, but it wasn't all smiles Sunday. The young pass rusher also had a number of poor plays -- including one in which he let an easy would-be TFL slip through his hands. Having notched three sacks on two occasions in 2018 but only averaging 2.5 tackles per game, Fackrell will continue to be a low-floor, high-upside IDP option against the Lions in Week 17. Fackrell had six tackles (five solo) and three sacks in Thursday's 27-24 loss to the Seahawks. 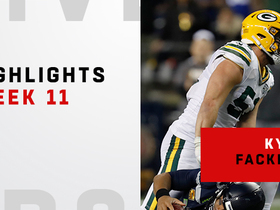 Analysis: Fackrell had already set a new a career high with five sacks prior to Thursday and made his presence known in Seattle. 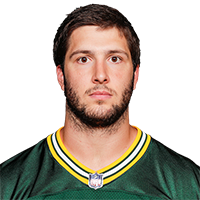 The 26-year-old started the season playing only 17 defensive snaps over the first two games, but he saw an 83 percent snap share Thursday, trailing only Blake Martinez among Packers linebackers. Fackrell leads the team with eight sacks, with Kenny Clark's five representing the next closest tally. Fackrell tallied four solo tackles and a sack in Sunday's victory over the Dolphins. Analysis: Fackrell's sack was his second in three weeks, and raises his total on the season to a career-best five. Fackrell played a season-high 48 snaps in Week 10, and he could see a boost in playing time again this week if Nick Perry (knee) is unable to play Thursday. Watch every big play from Green Bay Packers linebacker Kyler Fackrell in his Week 11 matchup against the Seattle Seahawks. 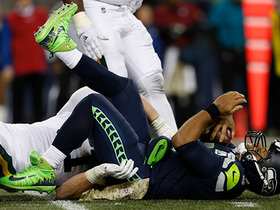 Green Bay Packers linebacker Kyler Fackrell sacks Seattle Seahawks quarterback Russell Wilson for his third sack of the game. 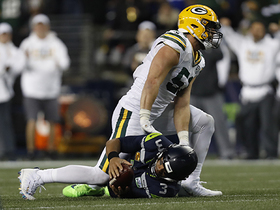 Green Bay Packers linebacker Kyler Fackrell envelops Seattle Seahawks quarterback Russell Wilson for second sack of the night. San Francisco 49ers quarterback C.J. 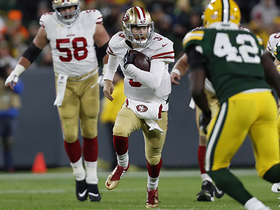 Beathard avoids the Green Bay Packers blitz with a quarterback keeper for 11 yards. 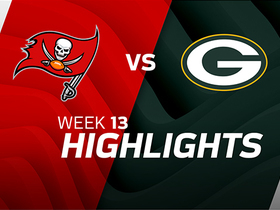 The Tampa Bay Buccaneers faced off against the Green Bay Packers in Week 13 of the 2017 NFL season. 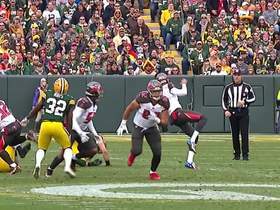 Green Bay Packers linebacker Kyler Fackrell blocks a Tampa Buccaneers' punt and the Packers recover it.